China has responded to threatening rhetoric on behalf of the U.S. with its own threats, and has pushed forward in the new year with military exercises, upgrades, and actions to ensure that they are seen as the dominating power in the region. One of the first moves of President Xi Jinping in 2017 has been to announce the restructuring of the armed forces of China. This move involves reducing the People’s Liberation Army (PLA) by 300,000 servicemen by the end of the year, the reduction in the number of officers across all branches by 170,000, consolidating the strategic zones of operations from 7 to 4, and to distance itself from some of the economic activities in which the armed forces have ties. This will be done to modernize the forces to combat new threats in the world, but more importantly to additionally focus on modernizing and strengthening their navy… a move done to rival the U.S. and to assert maritime control, particularly in the South China Sea. At the beginning of the year, China has not only announced the restructuring of its forces, but has also been looking to revise its 1984 Maritime Traffic Safety Law, to allow them to bar foreign ships from passing through Chinese territorial waters. The baring of foreign ships would be made on China’s own assessment of maritime traffic safety. The draft of the revisions also stipulates that foreign submersibles would need to surface in their waters, to display a flag, and to report to Chinese authorities. This display from China would cause issues with navies across the region who particularly travel through the South China Sea. Not only is China looking to modernize its armed forces, but they are also looking to keep hold of what they view as their maritime rights and claims around their borders, including islands in the South China Sea and islands near Japan. This move comes at the same time as ASEAN is working on a set of protocols to ensure maritime travel and security in the South China Sea to avoid confrontation between ASEAN nations and China. Modern armed forces require modern hardware and updated military facilities. This is necessary for China as they push back against critics in the region. Reports from the Centre for Strategic and International Studies in Washington D.C. report that China has upgraded its military infrastructure in the Paracel Islands in the South China Sea. This militarization of their man-made islands does not only go against their promise to not do so, but also provides a direct threat to the countries in the vicinity such as the Philippines, Malaysia, and Vietnam. China, in the early months of 2017, has been announcing plans to upgrade their missile capacities and naval capacities. 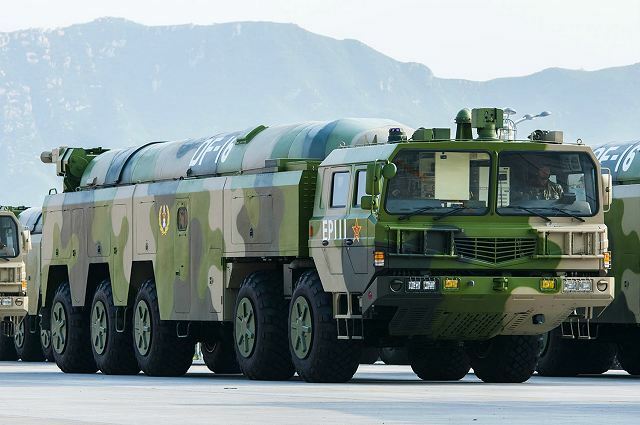 There have been reports that China has been developing their long-range and medium-range missile capacities, as well as upgrading its current stock of missiles, most importantly their mobile DF-16 ballistic missile. Japan and South Korea, as well as U.S. troops in either country, could be threatened by such missiles if they are deployed to regions in northern China such as Fujian province. A Taiwan official announced on March 16, 2011 that Taiwan believed China had begun deploying the missiles. The DF-16 represents an increased threat to Taiwan because it is more difficult for anti-ballistic missiles systems, such as the MIM-104 Patriot PAC-3, to intercept. China has continued to expand its rapidly growing naval fleet with the commission of its 31st stealth warship, a Type-056 class corvette. This is an addition to already the world’s largest fleet of modern corvettes. In January, they also launched a new electronic reconnaissance ship, their sixth. This buildup continues to improve their capacity to control the waters around their borders, and will be followed with the construction of their second aircraft carrier, one that will complement their second-hand Soviet-built aircraft carrier, the Liaoning. State media also reported in late February that a third aircraft carrier is being built in Shanghai based off the American model, and that the country is on pace to build 5 to 6 more carriers. This would increase their blue-water navy capabilities, allowing them to have a firmer grip on the region, and a larger military influence globally. Taiwan has been a hot topic early on this year, particularly due to the phone call between President Trump and President Tsai Ing-wen after President Trump had won the U.S. elections. The call was unprecedented, as previous U.S. administrations had followed the agreement of the ‘One China’ policy. A few weeks after questioning the policy, President Trump said he would honor the policy, but the incident still led to some aggressive rhetoric from the part of China. Weeks later in February, it was reported that the U.S. would soon reinstate marines as guards to the de-facto diplomatic mission in Taipei, the first time since diplomatic relations changed with China in 1979. A move that would most likely anger Beijing, particularly after the earlier diplomatic mishap on the part of President Trump. The U.S. was not the only country, in the first couple months of the year, that infuriated China regarding Taiwan. China launched a complaint with India over Taiwan’s parliamentary delegation going to India, warning them to be prudent as China has constantly opposed official contact between Taiwan and countries who have diplomatic ties with China. India has declared the visit to be ‘informal’ to appease China. An escalation of the rhetoric involved Taiwan scrambling jets and ships to observe the presence of the Chinese aircraft carrier, the Liaoning, which was passing through the Taiwan Strait on the way back to port after military drills in the South China Sea. 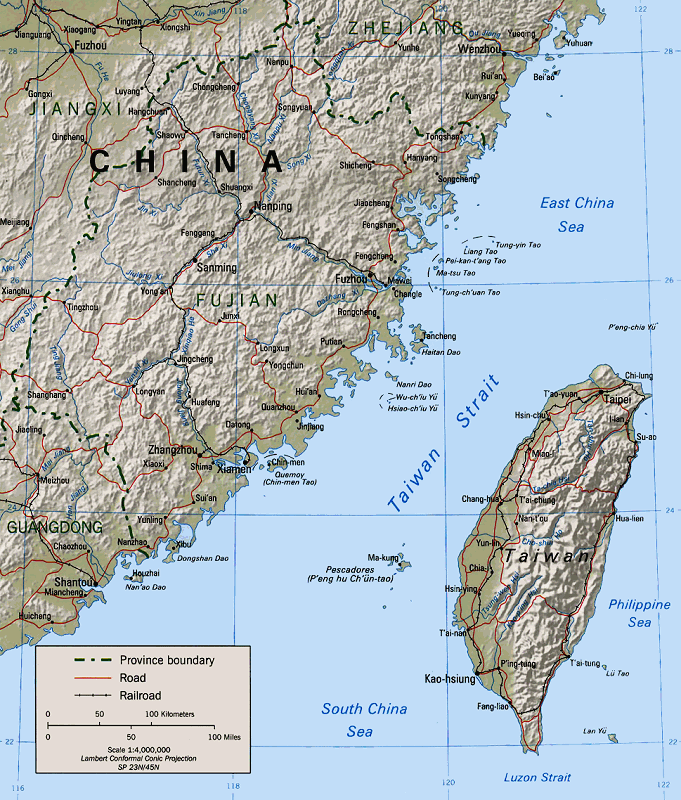 Tensions between the two continue to be high, and Taiwan has held military drills of their own based on a fictitious invasion of the island from mainland China. Taiwan is also in the process of upgrading 144 F-16 fighter jets, as well as going ahead with plans to upgrade its anti-ship and air-to-air missile arsenal, a move to counter perceived Chinese aggression. Rhetoric from the U.S. has not been any less confrontational regarding the South China Sea, and has been met with push back from China, who see a large portion of the sea as theirs. One of President Trump’s most influential advisor, Steve Bannon, has said that there would no doubt be a war in the South China Sea within 5 to 10 years. Additionally, the new U.S. administration has made it clear it would not allow China to claim territory in the South China Sea. Secretary of State Rex Tillerson, in his confirmation hearing, has said that “We’re going to have to send China a clear signal that, first, the island building stops, and second, your access to those islands also is not going to be allowed.” Other comments by the Trump White House came from Press Secretary Sean Spicer, saying that the U.S. will do what is necessary to protect its interests in the region. This is a departure from a more cautious approach taken by previous U.S. administrations, and one that will surely stroke the flames between the two countries. China has rejected the ruling given last year by the Permanent Court of Arbitration in The Hague, regarding its maritime claims in the South China Sea. The ruling has not stopped China from developing military infrastructure on the man-made islands they had built and has not dampened their resolve for future construction. The country has plans to build floating nuclear plants in the South China Sea. This is part of the country’s five-year economic plan running through 2020. Not only has China rejected the ruling and rejects U.S. presence in the South China Sea, but at the beginning of the year, China held military drills involving their aircraft carrier, the Liaoning, and support ships, in the South China Sea. It involved maritime and air maneuvers. A month and a half later new drills were conducted in the South China Sea, this time involving three of China’s warships as well as some air assets. Ships and aircraft were involved in a confrontation drill. The Communist Party’s newspaper has said that the country would continue to carry out military drills regardless of comments made by other nations such as the U.S., and that exercises far out at sea will continue to become common. When the U.S. announced they would be conducting freedom of navigation patrols in the South China Sea later in February, China warned against the move which they saw as challenging their sovereignty. This didn’t deter the U.S. Navy from having the carrier strike group, led by the U.S.S. Carl Vinson patrol the region anyways. This, only a week after a U.S. Navy P-3 Orion plane and a Chinese surveillance aircraft came within 1,000 feet of each other in the skies over the Scarborough Shoal, a group of contested islands in the South China Sea. China has not only been active in showing its military capabilities near Taiwan or in the South China Sea, but has also been active closer to the Korean peninsula and Japan. On January 9th, 8 Chinese military aircraft flew over the Sea of Japan during a training exercise, but South Korea and Japan took the gesture as a political message. 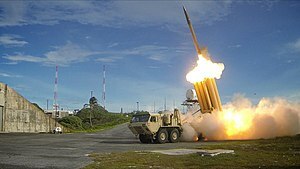 This act can be taken as a sign that Chinese forces are increasing their aerial capacities, after already showing their maritime capabilities in the South China Sea, or in the case of South Korea, a response to allowing the U.S. to deploy the THAAD missile defense system on its territory. China reiterated their position regarding the THAAD missile defense system being deployed in South Korea again in February. Terminal High Altitude Area Defense (THAAD), formerly Theater High Altitude Area Defense, is a United States Army anti-ballistic missile system designed to shoot down short, medium, and intermediate range ballistic missiles in their terminal phase using a hit-to-kill approach. THAAD was developed to counter Iraq’s Scud missile attacks during the Gulf War in 1991. The missile carries no warhead, but relies on the kinetic energy of impact to destroy the incoming missile. A kinetic energy hit minimizes the risk of exploding conventional warhead ballistic missiles, and nuclear tipped ballistic missiles will not detonate upon a kinetic energy hit. Towards the end of January, reports indicated that China deployed Dongfeng-41 Inter-Continental Ballistic Missiles in Heilongjiang Province, on the border with Russia. These missiles have an estimated range of up to 15,000km with nuclear capabilities, and with the location of the deployment, could render the situation even tenser in the Korean Peninsula and Japan. On February 6th, Chinese Coast Guard vessels entered Japan’s territorial waters around disputed islands in the East China Sea. This occurred only days after U.S. Secretary of Defense General Mattis made a visit to the country to reassure regional allies of U.S. support regarding security, particularly the North Korean nuclear threat. China’s response to General Mattis’ visit was that he was bringing instability to the region by saying that the disputed islands, the Senkaku or Diaoyu depending on the country, were part of a longstanding defense treaty between the U.S. and Japan. The posturing of China in the region has led other nations to seek stronger alliances with regional powers to push back or to get closer to China. This can be seen in Japanese Prime Minister Abe going around the region to offer economic incentives as well as military hardware, such as ships, to enhance ties between Japan and those nations. It can also be seen with Cambodia cancelling military drills with the U.S., a move thought to be because of Chinese pressure to do so, although the Cambodian government denies such allegations. When China perceives countries in the region are straying away from their grasps, they assert powers in other ways such as blocking Singapore troop carriers in a port in Hong Kong that was returning from military exercises in Taiwan, although Hong Kong denied Beijing had any role to play in the seizure. This year will continue to see tensions between China and other regional powers, particularly the U.S. in form of aggressive rhetoric and continued military build-up and confrontations like we saw with the planes coming too close to each other above the South China Sea. These types of incidents will likely continue particularly in the first half of 2017 as China will test the Trump administration and seek to get a clearer vision of what U.S. foreign policy will look like in the region. Until this occurs, China will make good on its rhetoric to continue maritime military drills and venture further out in the Pacific. The court ruling regarding the territorial claims in the South China Sea will continue to be ignored, and China will continue to build infrastructure in the disputed islands there either through force or will provide economic incentives to countries who dispute their claims, so that those countries may back down. Countries on both side of the tensions will need to continue to be cautious, so as not to disturb economic activity passing through the disputed seas, which if it occurred would be detrimental for all parties involved and have ripples globally.